Watch a quick demo and see why the most productive small law firms use Smokeball to manage their firm. "Smokeball is taking our practice to the next level." I like the intuitive home screen along with the printable daily digest which includes calls, tasks, events. This feature allows me to organize my day and prioritize. The next steps has become a beacon for me to make sure that we keep our cases on track to completion without missing important tasks. I have found very little aspects of smokeball that I have not liked. Features which I would like have been addressed by the smokeball team and I was able to get a new matter type which will enhance our case management greatly. The smokeball team is great at keeping an open door via new feature requests and support. For attorneys opening their law practices, Start off right and with the right case management software. For anyone else better late than never. Smokeball allows you to quickly move all of your cases over and transition quickly enough that you should be able to keep building your practice no matter how long you have operated. I wanted to eliminate our use of multiple programs that created the inefficiency of entering data twice. In addition we have realized a smoother and easier way to track AP and AR as well as billing. I was trying to move us into a more integrated software and Smokeball does that and more. "Great Product/ Great Service and the best way to provide the level of care your clients deserve"
Work Flows with the ability to attach specific templates. I also love the integration with Word, Outlook, etc. which allows me to file drafts and emails even with attachments. Check Writing/ Accounting is different than what we are accustomed to in a practice that handles such a variety of payment structures and methods. Smokeball is working with us to develop a solution that works best for our firm. Demo all the providers multiple times and understand what smokeball provides they don't. Understand what they provide that smokeball doesn't. Decide what is most important. DON'T TRY TO MAKE A NEW SYSTEM DO WHAT YOUR OLD ONE DID. . . learn why through development, trainings and redevelopment the provider recommends a method. If you want a system that allows you to manage a method and free up your paralegals to spend time thinking of other ways to add value to your practice then consider smokeball. For the cases i handle I have created a workflow. For these workflows I continue to develop templates so my assistants just have to press a button to generate the documents I need from demand letters to pleadings to discovery to disbursement sheets. It is a product like no other i have considered. Before smokeball I was responsible for "dolling out the tasks" to attorneys, paralegals and secretaries. I also actively work a number of cases that require my complete focus. I was in a position that some days I may come in and doll out 50 things to do and then I would move on wishfully thinking my staff could get these completed before I came in and did it again or called in saying x, y and z had to be completed immediately. I created a system of backlogged to do list where everyone was on edge to understand what was most important until every day became put out the hottest fire. This software allows me to show the entire staff what needs to be done over an extended period of time for a specific case. They can realistically achieve resolution and see their achievements in cases as they work on them and many other cases at the same time. It has allowed me to see when individuals are backed up, how they perform with different tasks and remove the bottlenecks in the process. It allows me to reassign urgent tasks if necessary. It allows me to easily save documents, emails and other important attachments to individual matters. It allows me to out work the other side primarily by working smarter. Smokeball is tightly integrated with Microsoft Office. Our Outlook, Word, and Excel all work together with the database so that document creation and management (finding, editing, creating, emailing, etc.) is a much more efficient process. Related to this, Smokeball's document automation system is very powerful and is a feature that we use extensively. Also, Smokeball's customer service is outstanding. Every employee I've spoken with is very knowledgeable about the product and I get the sense that the organization runs a "flat" management structure, so that any necessary information is only a quick call or a message away. All that power comes with a big learning curve. I don't think the learning curve is difficult for the end users, but to get the most out of the program during setup, you really need to think about how your practice is organized before you get started. It would be nice to see a more developed third party consultant community. Would also like to see a user group/knowledge base where people can compare notes. I would definitely recommend this product. I'm happy with it and the others in my office are happy with it. Document assembly is better and more efficient than any system we have used before. The ability to use logic (If/Then/Else statements evaluating information in the database, and questions presented to the end user) help us push down a lot of the tedious aspects of document creation to staff so that the attorneys can focus more on the legal issues. Smokeball's task lists and workflows help with project management. We are able set up workflows based on different types of matters that present relevant document templates to attorneys or staff at the right time, which makes everyone more efficient. The billing function integrates with QuickBooks Online, which simplifies our accounting. All of our trust accounting is managed inside the program, so we can see which clients have money in trust at a glance, from inside the customer's file, or via global reports. Billing and payment information is also integrated into the matter, so we can see the client's trust account balance every time we work on the file. "A very satisfied P.I. (small) firm." I had two goals when shopping for my next case management system. I needed portability. I also wanted simplicity. I got both with Smokeball. Wherever I go: court, depositions; out of town; the conference room; my entire file drawer is there with me. At my desk, or on the road with my laptop, I am able to access not just "some" of the file. I have ALL of it: documents; file data; emails; calendar; upcoming tasks - my office in my smartphone. Smokeball is robust and can be very detailed and granular. However, it has a simple interface and keeps a lot of data organized and stored in an intuitive layout. I rarely have trouble finding anything I need. I wish emails were automatically stored in subfolder, so they didn't clutter up the general matter file. I have a personal injury practice. The advanced PI case set up is fantastic. Let a trained sales pro walk you through what the system can do for your practice. You will be pleased. The system has been designed from the beginning to help lawyer; with the input of lawyers. Smokeball interfaces with Quickbooks online and allows me to keep meticulous track of my operating account and (much more importantly) my Trust account. This is a lifesaver (and sleep enhancer) for me. My favorite Smokeball feature is the ability to track billable time using artificial intelligence. While I try to input time entries contemporaneously, that doesn't always happen. With Smokeball, I can easily review the work I performed on a particular matter, and then switch the view to see all of the matters that I worked on in a particular day. I look forward to future releases that will make Smokeball even better: a one-step option to convert web pages into .pdf documents; the ability to track time spent browsing the internet for tasks like due diligence; a view that allows a user to see only one copy of an email string even though the string was saved in a matter by multiple users - it's hard to efficiently review emails when I have to wade through multiple copies. I needed an email management solution that relies on metadata, rather than date saved to a matter, to organize emails and other documents by date order. I made the right choice. I used to lose sleep over the lack of email management and in particular the inability to save attachments separately from emails. With Smokeball, I can link an email to a matter and receive a prompt asking if I'd also like to separately save the attachments to the matter. I used to waste time searching in emails for documents. Now those hours can be spent doing billable work. "Best Case Managment Software on the Market Today"
There are two main features that are really very helpful - beyond the fantastic customer service and training (Andrea Valle is a particular standout). The best feature is the desktop install. Installing the software, rather than going through a browser really increases the functionality and allows Smokeball to be incorporated into everything we do. I worked at an AM Law 100 firm and we used DeskSite to manage our files. Smokeball is as good as Desksite in managing the files, and has more helpful features. Another great feature is the categorization that beings when you create new matters. Smokeball slots matters based on the type, and then uses that categorization to assist in providing preexisting forms and generating templates, like letters that per-generate with basic information completed. Another feature that is very helpful is the automatic time recording. This feature not only helps capture more time on hourly matters, it provides a data to determine what work was put into flat fee matters (and the profitability or non-profitability) and provides a baseline if we need to do a fee petition on contingency fee matters. There is nothing to really dislike so far. The challenge we have is uploading all our exiting matters, so we can be fully into Smokeball. Consider the features that Smokeball includes and whether those are valuable to your practice. When comparing Smokeball consider that other software charges additional fees for features that Smokeball includes. The templates that Smokeball includes are a big value add. Smokeball really assists in the electronic organization of matters, thereby reducing our reliance on paper, and in providing access anywhere. Our files are now primarily electronic, with some paper. Not only can we work on any of our cases from anywhere, but with the mobile app, sitting in court, I can bring up an order on a matter from last hearing or even before. "TOOK MY SOLO PRACTICE PAPERLESS!!" Account Management and Customer Support. Smokeball's account management and customer support are second to none. From the beginning they have been there to make sure the transition went smoothly and that things continue to go smoothly. Whenever I have a question or a problem they are there to help, even if it turns out the problem is with my hardware, not their software. No question is too small, no issue is too minor. Really a great group of people. My biggest pet peeve about the software is the fact the task list does not show up on the calendar page. I have been asking for this change and am maintaining hope that it will come. However, my account manager was able to come up with a great work around that has solved the problem for now. (See What I like best). Smokeball has solved every business problem. It has taken me paperless, it has solved case management problems, billing issues, etc. I am finding new problems for it to solve almost weekly. Smokeball has greatly reduced the amount of time that I spend on task, especially standard forms and letters. I particularly like how much automation Smokeball allows. I also really appreciate the search functions and how easy it is to search not just document and email titles, but the test of documents and emails as well. We're still in the onboarding process, but automated timekeeping and forms have been tremendously helpful. I've also really appreciated the Account Management and onboarding team. Whenever I have questions or encounter a problem, they have been able to provide speedy assistance. The trainings have also been useful. It is a complex system and there is a lot to learn to use it to its full effect, but it has solved a lot of the headaches we were having with our previous legal practice management software. Memos do not show up in document searches, which is kind of frustrating. There is also no direct place to enter notes for phone conversations. We've been using the memo function for this, but it's not as smooth a process as we would like. Additionally, you also have to be careful with timekeeping for calendared events. If you blocked off two hours for a client conference but only spent 45 minutes in the conference, you have to remember to go in and edit the time record generated. So far the only other issue I've encountered is that because of the sheer size and complexity of the program, it can be a little slow to react at times. But the benefits of the program have far outweighed the few problems we've encountered. Easier tracking of detailed information on matters, particularly personal injury matters. Better automation of forms, which saves us time in the long run. Automated timekeeping for a lot of activities so long as they are done through Smokeball means less time starting and stopping timers and better accuracy on timekeeping. Our bookkeeper also appreciates the reports offered by Smokeball billing and the simplicity of the billing system. The best feature is the document automation, which is far superior to other practice management software, which require the use of third-party programs to obtain the same results. Additionally, the automatic time tracking has been a game changer in my practice. The account managers at Smokeball are also very responsive and available, which is a drastic difference from some of their competitors where it can take a long time to get a response from someone in a call center. With Smokeball, my dedicated account manager responds to emails almost instantly and is attentive to any requests or questions. The company could be more open to third-party integrations and/or APIs. This is the one area it is not as strong as other software in this category. Spend time on the support webpage. I do this with all new software I am considering as you can learn alot about the features and how it works by skimming through the support pages. Smokeball also does a good job of posting about its version changes in the support pages. Therefore, you can see the direction of the company and how they implement changes. This is a complete practice management program that is well integrated with office products. Many of the things it does require third-party integrations with other software which leads to more chances for errors. Smokeball has allowed me to utilize fewer vendors, which leads to lower overhead costs and more time to work on legal matters. "Smokeball is the 99% Complete Package For Our Firm"
1) Account Management - We were assigned a personal support account manager from the start who helped us get established, provided training and is one stop shopping for all our questions. He even hosted me during a recent visit to Chicago. We've been working with him for more than 18 months no and he is terrific: responsive, intelligent and knows how to marshal the internal Smokeball resources when needed. 2) Document Management / Email integration - We demoed all the top Practice Management Systems in detail and Smokeball was the best in these categories. All documents are stored in the secure Smokeball cloud and organizing, searching and maintaining these documents is a breeze. Thanks to the tight integrtion with Outlook, Word and Nuance (PDF), all documents can easily be manipulated and get tagged so they are associated with the correct matter. 3) Automated Forms - Another strong trait of Smokeball. Creating and using templates for letters, memos, etc helps avoid the tedious task of creating a letter from scratch. These are automated based on existing matter or client details and can be automated to "ask" questions to fill in the blanks at creation time within a matter. 4) Integrated Billing system - Smokeball Billing (previously called "Boost") has come a long way in 18 months and provides 99% of the functionality to do invoicing and manage Trust Accounts. Reports are available for generating for the client (i.e. Matter Account Ledgers) or internally (i.e. Aging Reports). Smokeball is making the needed investment to improve the product. We see continuous improvement and new functionality frequently. We were asked to work directly with the developers in some cases to address functionality needs. "Smokeball has addressed countless firm management issues and streamlined our work process." Smokeball is very easy to use- especially in creating and managing new matters. Smokeball has proven that they care about their customers because their account management team is very responsive and pro-active. I feel very comfortable that I will have the support I need when I need it. I am also pleased with the responses I get when I submit tickets about desired features for the program. It is clear they are developing software that responds directly to the requests of its customers. Smokeball is not perfect and occasionally has small bugs or inconsistencies. It is always a bit of an adjustment switching wholesale to a new firm management system, and this has been no exception. That being said, using Smokeball continues to become easier over time. Smokeball solves case management, contact management, and document storage for our firm. The primary benefit is that all of these systems are held in one place, and interact smoothly to eliminate unnecessary extra work. "Smokeball has made my job easier "
I love the integrations. My favorite two are Microsoft with Outlook and the ability to associate emails with a click of the button and Ring Central. My staff and I are able to accurately bill without remembering to note start and end time for telephone calls. I am also very pleased with our Account Manager Mark. He is very attentive to any and all issues. If he is unable to assist us, he immediately puts us in contact with someone that can. The essential forms integration. I dislike that the completed form is only accessible for modification by the user that created the form. It slows down the workflow process immensely. I also dislike the workflows. I would prefer to create a workflow checklist to be opened in a file rather than having the workflows immediately assigned as Tasks. There are so many. First, a cloud based system has made is easier to view files on the go and look at files from my phone at court. It was difficult to work on files when everything was on a server. More effective billing. Having an integrated billing software has helped my firm increase it's billings and more efficiently bill our clients. While we previously didn't track time on flat fee cases, Boost makes that much easier. Form Integration in Word, helps to streamline the use of form letters and ensure that the most recent version of a template is being used. "The Absolute Best Program for File Organization in Law Offices"
Everything about Smokeball is truly a dream. The interface not only gives you a way to easily organize clients files but it also provides a system to tag the files as various types of cases. Within the system you can create separate files for each type of document that will be held ex. pleadings, correspondence, etc. One of the best parts of Smokeball is the automation that you can input to your files. You can generate an automatic document for various letters you send on a daily basis. For instance fax cover sheets, opening letters, letters of representation, you name it you can automate it. Truly makes every part of the system such a breeze. And you can link your email so you can tag emails with the corresponding clients files they should be linked to. Talk about convenient! There's truly not much that I dislike about Smokeball. I can't off the top of my head think of anything other than the duration of time it takes on occasion to actually open the program. But that's truly a minimal complaint. Truly an incredible product that I can't say enough shining things about. Solving the issue of organizing documents and keeping track of all documents and files for each client. This solves the issue of paper files and condenses everything into an electronic form that easy to access. It also provides a tool to create and assign tasks to various employees and see when they're completed which is truly a game changer. "Great Product with Great Customer Support"
There customer support and tech support are top-notch. In fact, our Smokeball account manager was in town recently for another event and came by our office to do a training for our firm. We are a small firm, and that level of personal attention was very appreciated. In addition to the customer support, we have been very pleased with the product overall. We have several lawyers who practice in several different practice areas, and in our research, we found Smokeball to be the product that was most adept at handling multiple practice areas. We've been very pleased with the product. We also like that the product is very intuitive. We looked at other programs that seemed like they'd be more powerful. Maybe they were, and maybe they weren't, but either way, they would've been impossible to figure out. (And that's coming from someone who was a computer programmer before I was a lawyer.) Smokeball makes it super-easy to file emails, for example. It's really difficult to overstate how easy Smokeball is to use. There have been glitches here and there, but when this happens, Smokeball is very good at: (1) developing a temporary workaround; and (2) correcting the glitch in the next update (which happens frequently). You can look at other programs, but make sure the other programs are going to be easy enough to use for you *and* your staff. Otherwise, the program can be as powerful as it can be, but it won't do you any good. Smokeball has helped us tremendously as we have grown our practice. Oce of the key benefits has been automation. Where we previously would have to think of the last time we had drafted a particular document to use as a form, now they are stored in the forms folder, and once we click, most (if not all) of the client data is already in the form. This has made us tremendously more efficient. "Great Software, Better Customer Service"
The software is pretty robust and comprehensive. But this sometimes leaves you wondering whether you can do certain tasks and how best to do those. Smokeball has great trainined videos that are clearly organized to make it easy to walk through them whenever you want. But by far the best piece of the software for me has been the on-boarding process and customer service. When I've been stuck on a problem, they're ready to help answer any questions, no matter how dumb, I have. And they're very quick to respond. Sometimes even within a couple minutes. As a solo, this is invaluable since I don't have anyone else I can hand this stuff off to to figure out for me. I want a client portal. Although one is supposed to be coming. And if you're attempting to manage lots of referrals and potential clients through this software, it's not set up for that as well. You can use certain work-arounds for that. However, it's just not designed for CRM-type use. If Smokeball would either add that as a function, or develop an integration with another CRM platform, that would be ideal. If you have use of document automation (different from just simple document assembly), this product is better than its competitors. Plus, they're working diligently to add more forms for state-generated forms, whether court forms, real property forms, or what have you. Any time I've proposed they add certain forms, they've been accommodating and prepare those as automated forms within a couple weeks. Smokeball does what the other programs do, plus the automation component. Managing various client files in one place. The ability to work remotely without having to sign in through a remote desktop is fantastic. Plus, the way the software works, you have local copies of active files on your computer, so you can continue to work even without an Internet connection, which some courthouses still refuse to provide...It's also great to have client contact info in the software and on the app. This way I don't have to undertake some cumbersome process or grabbing a paper file or calling a secretary to pull a client's phone number while I'm traveling. Smokeball made our transition very easy and honored every promise they have made to us when we came on board. On the rare occasion that we have issues, someone is always available to speak to us and solve the problem. Smokeball is also eager to learn of how we use the system and have often created better ways to do things based on our feedback! We love it! The price---other than that, there is very little we dislike about the program. The phone app could refresh and sync better with the online system. And, it would be nice to be able to save PDFs off line directly into Smokeball. Just do it. Although the product is expensive, we have found the investment to be worth it! Smokeball gave us the push we needed to go toward paperless. We are more efficient and everything is in one place. I can access the entire file from court or anywhere when I am on the road. It also keeps track of all of our activities so we can refer back to the file instead of relying on memory or notes in the file. It has had an unintended benefit as our staff competes to see who has the most activities completed at the end of each month! "Case Management Software for a small law office"
Without a doubt the best support from a software company I have ever experienced. And it does not stop after commitment and migration. The Smokeball team constantly works to improve its product and continually focuses on the users experience and needs to make those improvements. very impressed by the continued support. I run a predominately personal injury practice. I had to adapt my new client intake to fit Smokeball's matter type and there were some areas from the Smokeball matter that were missing. That said, Smokeball listen's to the customer and will work to incorporate suggestions in newer versions of Smokeball. Look to see if Smokeball's matters will work for the way you practice. If so, and you are looking for a solution that is cloud based that allows for access to your information from anywhere, works seamlessly with Microsoft Office 365 and will work to streamline your practice, seriously consider Smokeball. Smokeball helps immensely in simplifying processes that occur from one file to another. In doing so, it helps save time for my staff and has us on the road to greater efficiency. "The Best SOFTWARE Move I Ever Made"
It is very user friendly and the support staff is AMAZING! The integration with Outlook is fantastic. I have peace of mind knowing everything is calendared and the reminders will pop up for all my to dos. Being cloud based I can work form anywhere in the World. Can't think of anything. And If I did they would fix it. If you want to be able to manage your practice from a cloud based system, this is the answer. In my PI practice I rarely need to track time, however, this tool let's me see my profitability and when I do need a billing statement it is so simple. Keeping cases o moving forward, tracking time and expenses. "Making My Law Practice Efficient and Manageable"
The ease in which I can manage my files ( paperless ), and recover any message or document with a few clicks. I have instant access to ALL of my files, past and present. immediately. iMPLEMENT IT SLOWLY AND METHODICALLY. iT DOES A LOT OF TASKS, SO FEED THEN TO YOU AND YOUR STAFF SLOWLY. IT CAN MAKE YOUR FIRM VERY VERY EFFICIENT. I now have instant access to files when the telephone rings. I have solved my recurring staffing problems, because now I can run my solo practice on my own. "Robust Tool with Excellent Features and Support"
Smokeball helps us manage our cases from start to finish. The ability to easily tag emails, the use of standard templates and forms and the billing function help us manage our cases easily and effectively. We get excellent support from our Client Success team especially Alyson and Sara on the training team is also awesome. I love the billing reports and find them very useful in working with clients and operations for the firm. There are some unique features we would like but the team always works with us to find a suitable option or puts in a function request for us. The integrated features for case management are very helpful. We also transitioned to the billing tool in the last 6 months. Our Client Success team was instrumental in making that a smooth transition and the functionality from the reports is great. "Nearly Ideal for Small Firm Law Practice"
Time Tracking for billable hours. The amount of money it tracks automatically more than pays for the cost of the program. Also, Technical support for Smokeball is the best of any vendor I have ever encountered. If you have an issue, Smokeballs response time and resolution focus is unlike any company with which I have dealt. After original Outlook contact integration, Smokeball does not continuously sync with Outlook contacts, which means that you have to manually enter new contacts both in Outlook and in Smokeball thereafter. It is the most expensive program of the case management programs we field-tested. Based on the size of our practice and our work distribution (which is approximately 40% hourly billing), Smokeball is ideal. For larger firms, the cost-benefit of Smokeball's return on investment needs to be considered. My one beef is that Smokeball does not continuously integrate with Outlook contacts. This requires entering data into two separate programs in order to be current. The biggest part is capturing time on client files. Many days I would come to the office early, work feverishly all day long, but at the end of the day, I would have a difficult time seeing what I had to show for it. With Smokeball, it tracks in the background almost everything you do. It captures that time and present you with a summary the next morning. By tweaking the report, it is much, much easier to stay on top of billing hourly files. 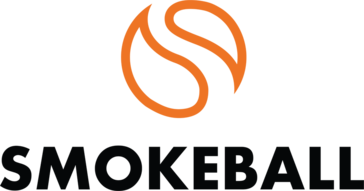 Coming from an ancient and obsolete case management system (Client Profiles), Smokeball has been like a breath of fresh air. I really appreciate having forms that are instantly ready to email, instead of the extra steps we had to take to get a document ready to email. I also appreciate the level of customer support that we've had during our transition. Andrea Valle has been incredibly helpful, professional and patient with us! If you are coming from an obsolete case management system like Client Profiles, understand that it is very similar to comparing apples to oranges or androids to iphones. They are very dissimilar and your conversion is going to be challenging. However, if you stay the course and just pack your patience, you will be very pleased with what Smokeball brings to the table. The Smokeball system is great. The ease we have with associating emails with matters in Smokeball has been very beneficial to ensure that we do not misplace important communication. "Best user experience and excellent customer support"
Integration of email, form automation, integration with Infotrak, electronic filing. Automated billing integration, activity tracking. While the ios app is usable and effective, their are clearly improvements that can be made, including the ability to use on your phone app when not connected to wifi or cellular service is poor or unavailable. After discussing that with the provider, I understand that the app is in the midst of a major upgrade and am looking forward to that. If you are looking for a cloud based case management program that integrates emails and efficiently automates forms, this is the software for you. Streamlines document creation, storage, integration with email and billing. Creates and preserves efficiencies and streamlines processes and tasks associated with each and every matter. The automated activity tracker makes billing a breeze, and the integration of the billing with quickbooks and lawpay makes getting paid a very efficient proposition. "Intuitive interface, customizes to my needs, great customer service." The onboarding process helped me to get up and running quickly and with a minimum of fuss. Also, now that I've set up the forms that I use most often, I can create and send correspondence less than half the time. My account manager is helpful, knowledgeable, and friendly and the support staff have assisted quickly with the few problems I've encountered. This is way better than A****s was. Oh, and the app - the Android app is 100% better than the other system's. It's still not perfect, but if I'm out and about and my attorney asks me to take care of something right away, I can do pretty much anything but print hard copy right from my phone. It's saved a great deal of trouble a couple of times: the difference between driving in to the office on the weekend and sitting on the porch and handling the emergency in two minutes. There are still some data entry forms that seem to be aimed at a slightly different system than we use. I've had to figure a couple of work-arounds for matter types that don't quite fit. All-in-all, not a huge deal or a daily problem. Also, the scanning utility - it's handy to be able to scan directly to Smokeball without having to create a local file and import it, but the interface is pretty clumsy. They don't claim to support the functionality and just offer it as an unsupported feature, but I use it almost every day and wish it were more streamlined. Set up a couple of test matters and work with it. Imagine how you can use the forms and templates to automate things you do over and over again. Try making a to-do task, setting up and attaching a mostly-done letter to the task and assigning it to a team member to finish, all within the program. We're having a much easier time keeping track of emails and correspondence. The task list is a game changer as well. We were using T***ist and it's almost as easy to use, plus links the appropriate matter and tracks completed tasks within the matters - excellent for tracking time and backtracking when things were done. I haven't integrated much of the billing yet, but I'm looking forward to the time when all of our client-side financial data is linked to the matters involved. "If you are solo/small firm, look no further! " After using other practice management systems (Amicus, PracticeMaster), we found the solution that really worked for our small law firm. Smokeball is EXTREMELY user-friendly and best practice management system around, and it works seamlessly with Smokeball billing so that we spend less time on tiresome administrative tasks. We love the tech support and account management -- Ian, our account manager, always makes sure that our questions are addressed promptly. With Smokeball, we can: makes notes to the file that all staff members can see, enabling the next person to pick up the file and start working; save all emails to a particular matter in a searchable format; email multiple parties in a matter without having to dig around for their contact information; format emails automatically with matter information in the subject line; auto-bill time spent on emails and calendar events; and so much more. Honestly, I often wonder how attorneys practice without Smokeball. I wish that tasks for closed matters would simply go away without the need for manual deletion. The program does take a while to load in the mornings, but it's a big program with a ton of information in it, so that's to be expected. Time management, disorganization, lost billable time were huge problems. Also, in the past, it was difficult for a file to be worked by multiple individuals. With Smokeball, those problems are history. As everyone in the legal profession knows there is a lot of repetition. This repetition of motions, letters, etc takes away from more substantive work. Smokeball has removed the thought work from billing so that I can focus on the client. Smokeball, through its automation has allowed for more time researching, powerful writing, case/fact investigations, more time for court appearances etc. It has changed the practices at this firm so much that, if given the opportunity to go a different firm I would turn down an offer of employment if they did not have Smokeball. Smokeball has improved practice and through the capturing of lost billing hour has literally paid for itself many times over. I love everything about the software, I only wish it would be readily compatible with Mac products. Just get it. It will change everything! We have tried several other well known software programs, the customer support at Smokeball exceeded all of our expectations. It is leaps and bounds above its competitors. When it comes to transitioning to new software, customer service is paramount. Smokeball's excellent customer service extended past onboarding and continues to shine when we encounter any issues or have requests for things to implement into the software. If you call customer service you always talk with an actual person who tries to resolve any issues you have and who never simply refers you to their website to watch a video on how to resolve the issue on your own. Our account manager is always quick to respond to telephone calls and emails and is constantly checking in to see if there is anything Smokeball can do to make their software work better for us and our firm...and they actually implement suggestions! I'm actually hard pressed to think of what I don't like about Smokeball. The price is high; however, we've tried cheaper software and find that Smokeball is worth it. I don't know that this would be the best software for very large firms. I think it lends itself better to midsize-small law firms. We love having all of the client information, documents, notes, and emails in one central location that can be viewed by anyone in the firm at any time. Workflow systems are instrumental in making sure that all aspects of a client matter are being addressed. The document templates are a huge time-saver. Our office is definitely more streamlined and efficient now. "Our firm looked at many software programs - Smokeball has them all beat!" The ease of use for the software, the support, the Account Management and the prompt response you receive when you need assistance. The document management aspect is awesome! Creating documents, the templates available, copying files between matters, tracking emails per matter, etc. Our Account Manager, Josh Taylor, has made a couple of trips to Arkansas to train and work with our team personally and has set our minds at ease on several occasions. He and everyone that we've had contact with at Smokeball are very friendly, courteous, knowledgeable and the part I like most, they take the time to speak with you like a normal person!! They never make you feel awkward or "dumb", no matter what you ask! 1) Before we switched to Smokeball, we could "preview" our documents, now we have to actually open them. 2) When documents are uploaded to a matter by another user, there's no notification system to let you know something has been uploaded. You just have to "happen upon it". 3) We would like to add a document to be "standard" in every matter created, but that's not an option. Smokeball has made our "work lives" so much easier!! We highly suggest signing up with them, you will not regret it! Definitely more efficiency, organization and streamlined. "Our Small Firm is Finally Organized"
The company itself - from the Account Mangers to the Product Managers, Trainers and Software Support they're outstanding. Not only do they answer any silly question I may have, but they've taken the time to call and meet us. Our trainer, Sara Sultan and account manager, Josh Taylor, really stand out in my book. I also really like the document management aspect. The ease in which I can create documents (forms & templates); copy/move/duplicate files to other matters; attaching emails and documents to tasks. -I don't like that I have to open up a document to see the contents. A preview pane would be helpful. - I can't tell when another user is in the same document I'm in. - Can't attach a document from two different matters to one email (that is assigned to only one of the documents) - Did that make sense? Jump on the SB train. You'll be happy you did. We more efficient and organized. "Smokeball is ideal for a small law fimr"
I like the links between Smokeball and Outlook to save emails and the ability to add contact information at one time and retain that information. The ability to generate letters is ideal as well. Would like the mobile system to list all phone numbers. Not a dislike but you will want to work from two monitors to have Smokeball open and access to the Microsoft Suite on the other for Word, Outlook and Excel. Something to look into and once you try the demo you will enjoy. Data switch over will cause some to say why since you might not be able to transfer all but going forward you will appreciate the change. Time saver without a doubt as you can generate letters and documentation. "Best Law Firm Practice Management Software"
Smokeball keeps our firm well organized. We love that emails and documents can be saved to a matter, are easily accessible and in one central location. The software is easy to navigate and input information into matters. The Account Management team is by far the best we have ever worked with and are very responsive and super helpful with any questions that might arise. Smokeball offers training at start up and when they have new changes and updates to make sure you are comfortable using the software. We would like to be able to save emails to matters while using cellphones and/or iPads. Best money you will pay to keep your firm organized!! Smokeball helps with document automation for forms that we use all the time. Everything is easy to access and saves so much time. "Loving every minute of it"
It's user friendly and everything is at your fingertips - it has saved me hours of looking for data which used to be all over. I love getting my daily digest each morning. Definitely a good ride. I used to use Amicus back in the day but these guys have a great product! I like how it has allowed me to greatly improve my contact database and organizes all my clients and prospects in one place. I like how it allowed me to improve my website. I really like how responsive the staff of Smokeball is for training and answering questions. I hope that they start to allow for the syncing of outlook contacts with Smokeball contacts. Staying current with my clients' priorities and keeping in touch with prospects. "An Excellent Resource for a Small Firm"
I love the ability to work from anywhere and the fact that all of our documents are in the cloud ensures that our client's files are secure and accessible. Even though the integrations with word, excel, and outlook are helpful, they do tend to slow both the computer and Smokeball down a bit. Scheduling Appointments and keeping track of court dates in an easy to use manner. "Beautiful, intuitive, easy-to-use software with awesome personal attention from Smokeball staff "
The customer service is just wonderful, except I don't think about it as "customer service" because that sounds so clinical. Josh, my "account rep," was more like a friend I met who happened to help me with Smokeball new features and any questions I had. That's how close I became with the Smokeball staff as I started my practice and signed up with Smokeball. From the time I opened my account to now, I talked to him several times a month via email or telephone. He always got back to me ASAP when I had a question or concern and his follow-up was superb. I schedule free help sessions occasionally to make the system work better for me. But, I honestly loved the software from day one. I like that Smokeball staff members let me know about new features so I never missed out on new ways the software can help me. I like the matter set-ups features for different case types, document automation, visual AI tracking (so I can eyeball what I am spending the most time on from day to day.) The auto-time tracking is seriously great for helping me bill in cases where I miss bill opportunities for my hourly cases. The email saving is great too. I also like the ability to scan a document directly into the file. For filing, there is also a publish option, so I can e-file a document directly from my Smokeball matter to the online state or federal court filing system I am using. Other great features too, like workflows, tasks, and reports are things I want to use more in the future. I think the price is the only downside. It's a little high, but Smokeball offers features,(like my FREE website design) that make the software well worth it. After the site was designed by Smokeball, they even helped me learn Weebly so I can make updates in seconds whenever I want. Make sure you use the staff and overload the staff with information about your practice. The more the staff new about my firm, the more they helped me. Can't say enough good things about how Smokeball helped me start my practice and continues to help me stay organized and meet my business goals. Before I started my own firm, I worked at an insurance defense firm that worked without a software (crazy, I know). Attorneys there just saved things however they wanted and every file looked different. Smokeball has so many automation features that enable users to make legal process work like an assembly line. I used the ABA handout on case management software before choosing Smokeball after did demos with eight other companies. Smokeball, to me, made the most sense because I was in so many different areas of law at first, and I was drawn to the Smokeball hand-holding in matter configuration that told me what data I needed per matter type. It helps me stay organized. I can access my files on my phone, laptop, office desktop, or whatever computer on which I'm working. "Transformative tools for my practice"
Smokeball promised tight Office 365 integration and delivered. The Account Manager was super responsive in the onboarding process, and it's made my estate planning practice more productive and profitable. My Account Manager also exposed me to tools that I now use in other parts of my practice, including family law and litigation. I'm still learning about the billing end of Smokeball. If you are doing estate planning, the document automation features can't be beat. The workflow process is helping ensure the ball does not get dropped and clients get their matters completed in a reasonable time. "Improved my Email Inbox + Document Creation Time!" I dislike that billing seems tedious so we use PayPal + Ticket System can be time-consuming + Not Web-Based which limits onboarding new staff. Letter and Document Creation has saves us hours each week and is keeping us better organized. "Hands down the best law firm practice management software"
The best thing about Smokeball is that it's artificial intelligence tracks the documents you create and review and the emails you send and receive to automatically create accurate time entries for the legal work you do. Smokeball's time and billing software, Boost, is still in its early stages and not very robust. Do it! Spend the time getting properly trained and putting in your document templates. Smokeball helps me automatically track my time, ensuring accurate billing. It also has robust document automation to cut way down on creating documents that I use all the time. "Intuitive, Comprehensive and great support"
Great Individualized account management, seamless integration with email. Some searches for work performed before on other files are not always found. However, there is a workflow procedure that provides support. I am not 100% up to speed on. Smokeball runs on specific platforms, i.e. for email and word processing etc. This can be expense on the front end if not expected. However, the costs are outweighed when product is put into place. Keeping files together. Realized lost billing. There is nothing to dislike. The only area that could use improvement is the mobile app. It is my understanding that this is being revamped soon and I cannot wait for this to be completed. Our primary issue involved usability in multiple locations without loss of functionality. This software allows all employees to work just as efficiently, wherever they happen to be. "It's better than I realized"
"A Must for Law Firms"
Smokeball has many features. I love that they are constantly updating. I like everything. There are a few things that can change but we are able to send them our feedback and in many cases they change things around. Smokeball is all about saving time. "Learning a lot about smokeball and how it can help"
Keeps everything very well organized and makes it easier to access information and pulls information through to your documents. Input once and use it over and over again. The cost. It is expensive for a small firm but I am hopeful that in the long run it will pay for itself in time savings. Definitely try it out and speak to others that use it. Helping with e-filing and keeping files organized and easy to access. Benefit is time savings and less headaches. "Smokeball is user friendly, and their staff are very helpful." I like everything about Smokeball and enjoy working with this software. I have no dislikes regarding Smokeball. I enjoy working with this software. User friendly software, excellent training, support and account management. I am satisfied with all aspects we use. Better tracking for activity in matters, better communication storage and retrieval, better document preparation and storage. "Great law firm management tool"
Document assembly, document and email storage by matter, billing. Great Customer Support and Account Management. Billing needs some work. "Tagging" emails to matters also needs some work, perhaps the integration with Office 365. Smokeball is an outstanding tool for document assembly. * We monitor all Smokeball reviews to prevent fraudulent reviews and keep review quality high. We do not post reviews by company employees or direct competitors. Validated reviews require the user to submit a screenshot of the product containing their user ID, in order to verify a user is an actual user of the product. Hi there! Are you looking to implement a solution like Smokeball?